The Kalamazoo College English Department will conduct its annual Hilberry Symposium, which honors English majors and their Senior Individualized Projects, this Friday and Saturday. 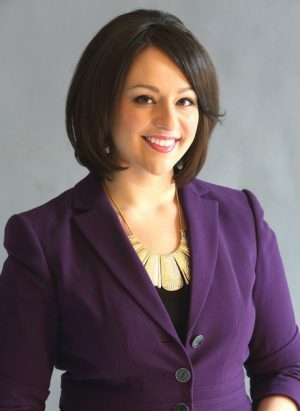 Lauren Trager ’07, an investigative journalist for KMOV-TV in St. Louis, will kick off the annual Hilberry Symposium with a keynote at 6:30 p.m. Friday in the Olmsted Room. Lauren Trager ’07, an investigative journalist for KMOV-TV in St. Louis, will kick off the event with a keynote at 6:30 p.m. Friday in the Olmsted Room. Trager has spent most of her career as a reporter and anchor through the newspaper, radio and television industries, and has also worked in government. She worked as an anchor and reporter at KARK-TV in Little Rock, Arkansas, before arriving in St. Louis in 2013. SIP presentation panels will run concurrently from 1:30 to 5:30 p.m. Saturday after an opening session at 1 p.m. at 103 Dewing Hall. A reception at the Arcus Center will follow. The Hilberry Symposium was named for late Professor Emeritus Conrad Hilberry, who was the founder of the creative writing program at K. The event resembles a professional conference, where scholars and writers share their work and acknowledge each other’s achievements. Alumni, nominated through English Department faculty, have served as keynote speakers for the event since 2001. Since the first Hilberry Symposium in 2000, the event has been an important collective experience for the graduating class as a ritual of remembrance and celebration. With English Department faculty members, family and friends also attending, English majors have developed a community through the symposium that has evolved over time, with the love of language as its enduring center. Visit its website for more information on the English Department and the Hilberry Symposium. This entry was posted in News Stories and tagged career development, English, SIP, . Bookmark the permalink.